“Please accept my apology. It will never happen again.” That was President Rodrigo Duterte’s statement during a gathering of Jews this week for Rosh Hashanah, the Jewish New Year celebration. His apology earned him a standing ovation and applause from the Jewish community. 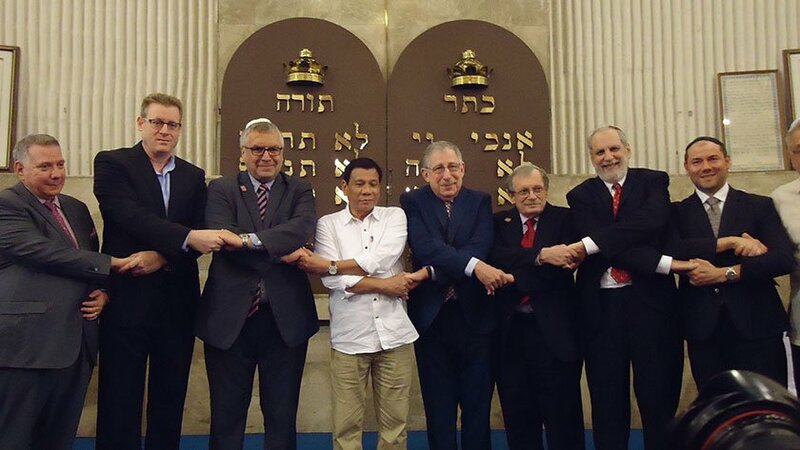 President Duterte attended the Jewish New Year celebration last October 4 at the Beit Yaacov Synagogue in Makati. During his speech, he explained that the main reason he was at the event was to apologize and pay his respects to the Jewish people. He said that he did not intend to offend the Jews and it was just a “play of the tongue” when he compared his drug war to that of Adolf Hitler’smass murder of their people. The president added that he simply compared the number of local drug addicts to the number of deaths during the Holocaust. He does not wish to ruin the memory of the Jews in the Philippines for the Filipinos themselves do not fiddlewith the memories of their own ancestors, he said.A couple of days before the event, Duterte already issued a public apology after his statement ignited an international outrage. The Philippine president has become famous for his outbursts against world leaders, but he reiterated that he had never before insulted the Jews. He even established a personal connection with the Jewish community, mentioning that his former wife, Elizabeth Zimmerman, is an American Jew descendant. Moreover, Duterte claimed he did not use his prepared speech. He said it would not convey his emotions and wanted his speech to come from the heart. As proof of goodwill, he said he would purchase defense equipment from Israel. The Israel Chamber of Commerce of the Philippines (ICCP) Board members were present during the New Year’s Day event. ICCP President Itamar Gero and several leaders interviewed by the social news network Rappler said they felt Duterte’s sincerity during his speech and they believed it 100 percent. It is safe to say that despite the controversial remarks, the Israel-Philippines relationship remains intact.